A Mercury-nominated album is always going to be a difficult act to follow, but even more so when it’s an album as hypnotic as Peanut Butter Blues & Melancholy Jam. The past two and a bit years have seen Ghostpoet rise to widespread acclaim both commercially and critically, a journey that can often be coupled with a loss of on-stage enthusiasm and somewhat lackluster performance. Fortunately it was a fate that his Sheffield fans were spared at Wednesday’s gig at the Queens Social Club, a venue that appears more suited to a church barn dance or charity quiz event, but somehow it only added to the charm. Ghostpoet took to the stage and wasted no time in warming up his crowd with Gaaasp, staying just on the dulcet side of monotonous in one of the slower songs of the debut. His new material stood well beside the old; the familiar slurring reverb was an ever present theme and allowed the songs to slip into each other as the crowd danced at his feet. Soft and romantic, Dialtones features the hottest in indie collaborations, with album vocals supplied by Lucy Rose. Live, the eerie melody comes across equally as powerfully and leaves Sheffield swaying in their Vans. The gig suddenly picks up tempo several notches as the sound of his signature synth indicates the start of anthemic Survive It. 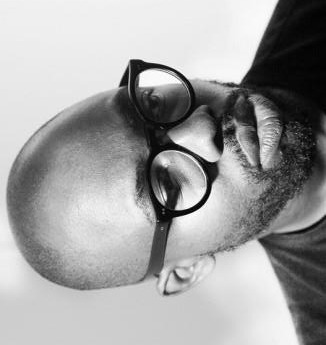 A combination of Ghostpoet’s infectious moves and the beat that drives the song causes the room to explode with happy fans, with an undercurrent of knowledge that this performer had not succumbed to a loss of passion or enjoyment, or indeed the ability to start a party. This only grew as he proceeded with Liiines and then Cash & Carry Me Home. There was not a stationary shoulder in the house. The set closed with a climax of Some Say I So I Say Light material, including an interlude of discordant electronic instrumental, crescendoing into Meltdown, the first single, premiered just days beforehand on the radio. Female vocals are again a strong theme, this time provided by the incredible Woodpecker Wooliams﻿, adding an element of soulful blues to Ghostpoet’s fuzzy verses. It was an elated band that returned to the stage for their demanded encore. Some Say I... has already bettered the debut in the charts, and judging by tonight won the hearts of Ghostpoet’s fans. His appeal lies in the familiarity of his lyrics of home-comforts and simple romance, and the undeniable likability of a man who just genuinely takes pleasure in performing the songs he’s written.